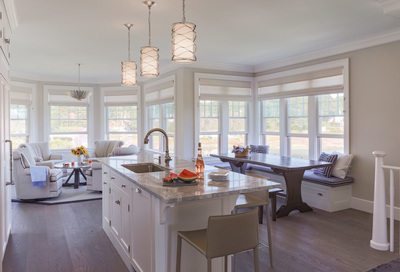 There are many finish options available to the homeowner these days. 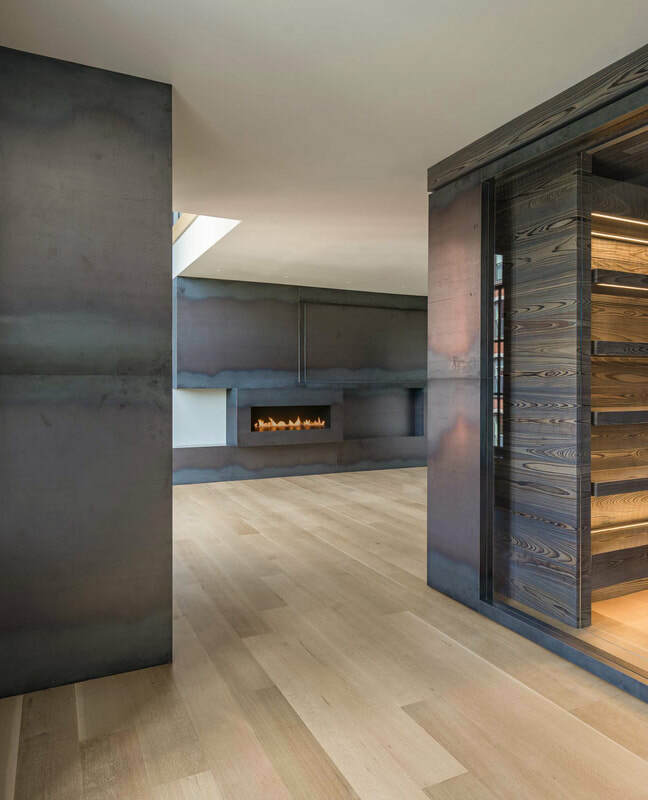 At Eco Options, we strive to bring the finest finishes, from around the world, to your home. 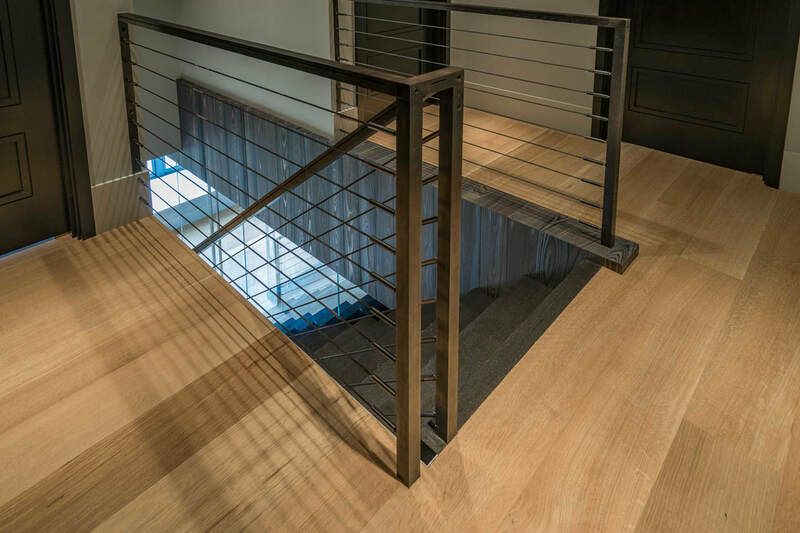 We specialize in the finishes that we've found to be the most durable, that offer the most options, from a design standpoint. Hard Wax Oils are a designers dream! 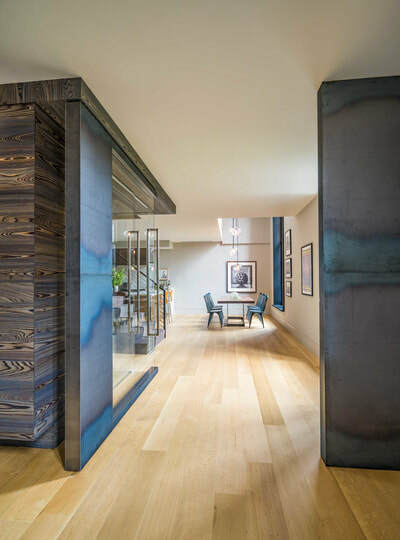 With one of the many colored oils, we have the ability to add a second color dimension, allowing these finishes to give you that old world, "weathered" look with a new fresh, modern flair. Vermeister is the pinnacle of waterborne finishes. We fell in love with the look that Vermeister gives, along with its incredible durability. We are often able to sand and finish your home while you are at work. With ZERO" voc, 2 component finishes, that dry in a couple of hours, our options are endless. 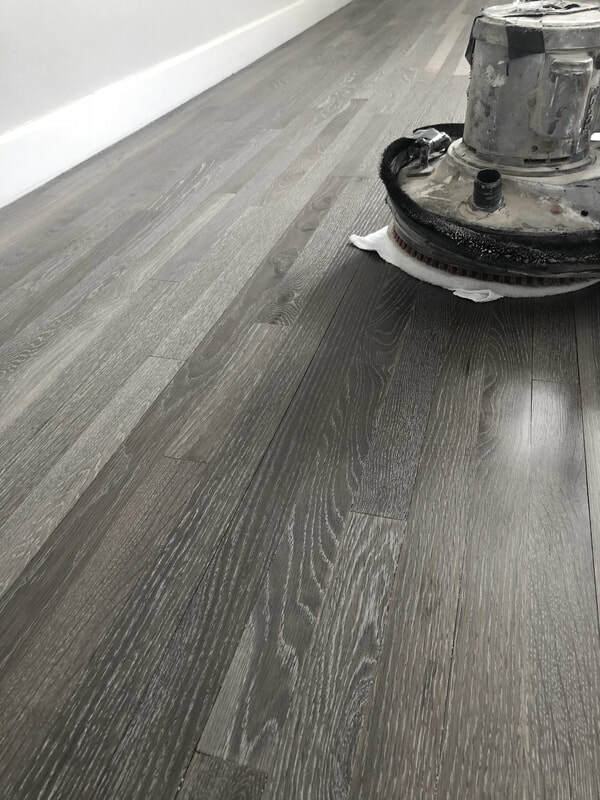 Teamed up with our dust free sanding process, there is little need to leave your home while we transform it. Convenient, safe, and clean. Our customers rave that this finish repels spilled liquids, allowing plenty of time for clean up. 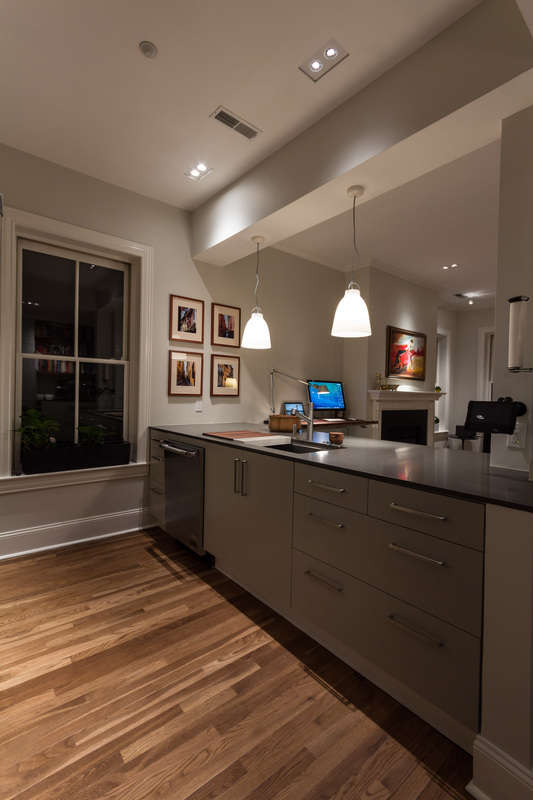 We often tell our customers that the finishes we use in their homes are what we would use in our own homes. Our products represent the absolute best that the industry has to offer. ​But what is a great finish without a great sand job? As we've come to understand the inner workings of our craft, we have become meticulous in our process. We find a technique that renders the optimum outcome and apply it with conviction, regardless of the time involved in perfecting our project, With over 30 years between us, you can rest assured that you will get the best looking floor possible! Carlisle Wideplank, engineered floor. Bona Naturale' finish. I will try to mention names that went into making this awesome renovation a reality. 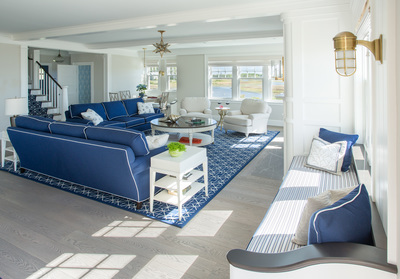 Stunning design is By Greg Warren of Warren design. The contractor is Woodmeister master builders. And lastly, excellent photography is provided by Eric Roth. 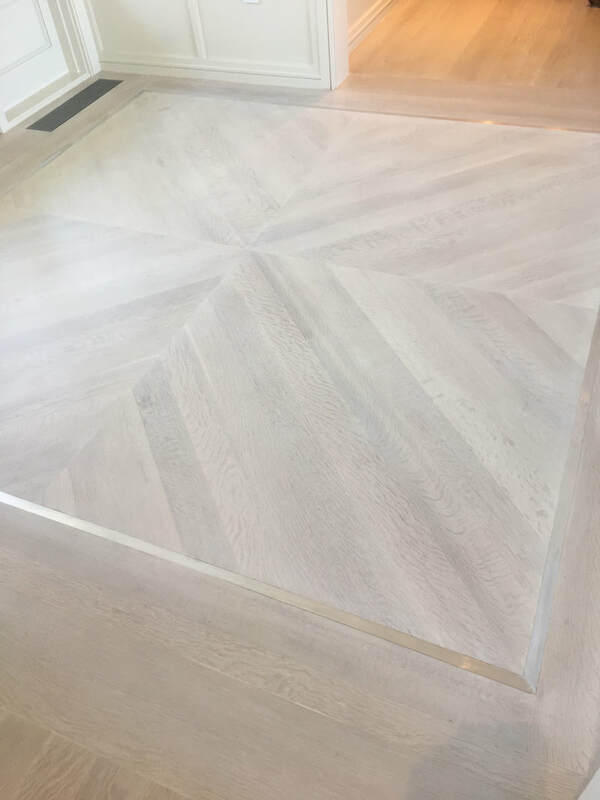 We really enjoyed working on this floor! 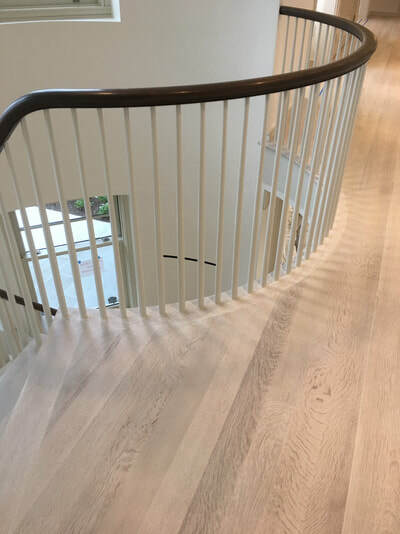 It really doesn't get any better than using our favorite finish applied onsite to our favorite wood. This floor was sanded lightly onsite. Then we applied Rubio Monocoats' pre easy white, followed by a coat of grey hard wax oil. The result was nothing short of "jaw dropping". ​Awesome photos are provided by Eric Roth Photography. 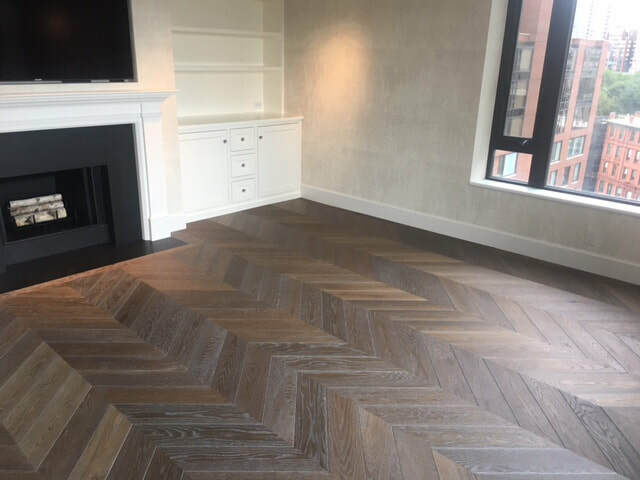 Rubio Monocoat Fumed with white oil. Here we have a waterbased white stain with waterbased topcoats. Keeping the neighbors happy is always a priority for us! 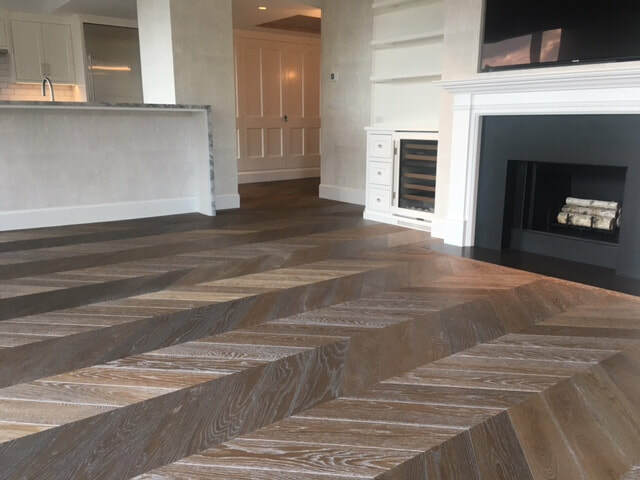 This was a custom herringbone install done by Eco Options for Hostetter Builders. It will receive a couple coats of Matte on top. Every border is tongue and grooved into the field. A full spread glue application ensures a lifetime of beauty! We really try to focus our company more on the quality than quantity. We have decided that instead of creating a company where the owners just price the jobs while the skilled laborers perform the work, we would concentrate on keeping our numbers low. This is the ONLY way to ensure quality. A lost business model that we hope will pay off. To us its the only way, the right way! We believe that we pair well with Carlisle Epic Wideplank as they also keep quality control very tight. 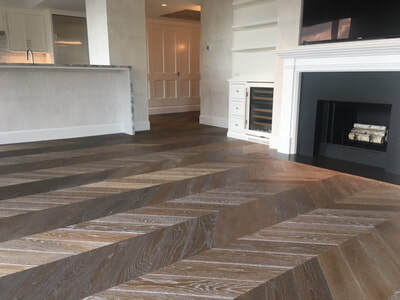 Carlisle Wideplank Flooring - Webster and Co.
Quite the 3 day project! 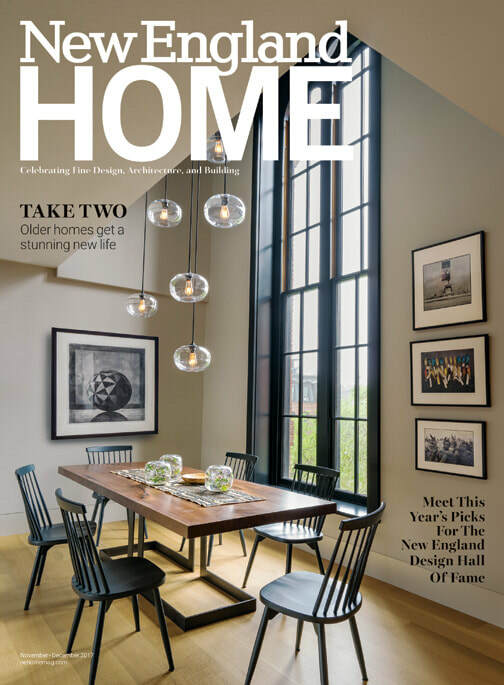 Located at The Boston Design Center, Webster and Co. is an awesome resource for professional designers in the Boston area. 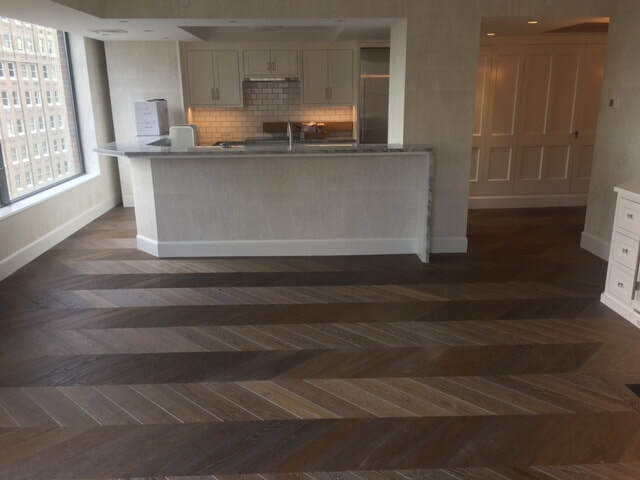 This beautiful refinished wide plank floor was supplied by Carlisle Wideplank of Boston. Every piece of wood was meticulously placed where it looked best. Most planks were 12-16' in length. So long in fact that we couldn't use the elevator to bring them up to Webster and Co.! We had to bring them up the emergency staircase! No easy task. We pride ourselves in taking on challenges. Often the hardest jobs are the ones we are most proud of. 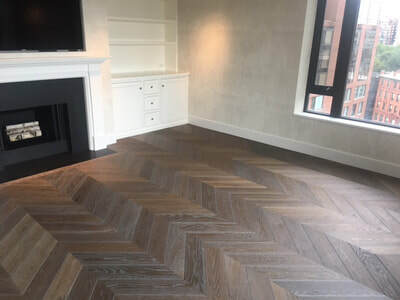 The photo links to other photos of this "Epic Wideplank" job. 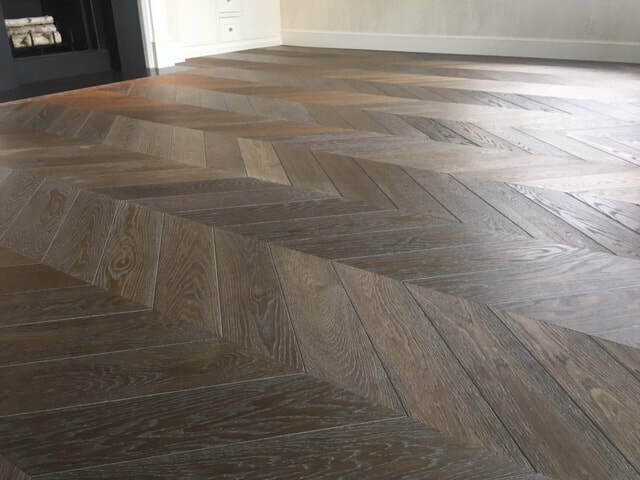 Since this is 5" rift and quartered wood, the Homeowner decided to allow its true beauty stand out. No obscuring the grain with stain and no hiding it with a layer of high gloss. 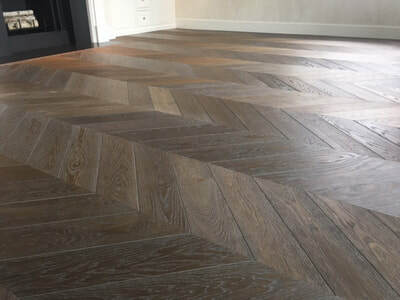 This floor screams "euro"! And it leaves us screaming for more like it! 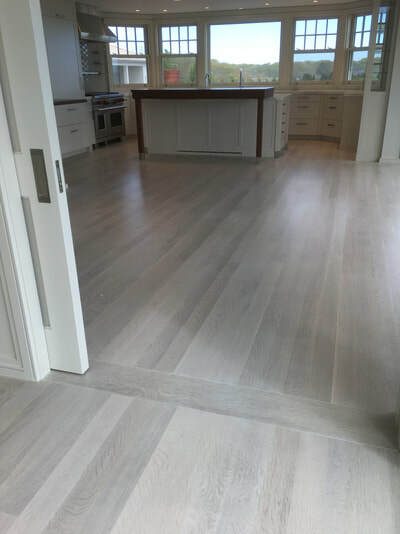 White- As the title suggest's this is a collection of white floors we have finished. Rubio Monocoat is such a flexible finishing system! Their oil might be user friendly but once you start trying to apply their pre-colors onsite, you had better practice on a test floor! This job came out beautiful. One of the nicest we have done to date. This house had it all. Two different colors of Rubio as well as a room of hickory that we stained a light grey. We have been getting many calls lately requesting the "weathered" look. I feel that Rubio is the best way to get this look. There really is nothing like it! This is Vermeister. As you can see it does NOT cover the grain like most water based finish. It accentuates it! After trying as many finishes as possible I can safely say that nothing can make the wood look like this especially while giving you the ultimate in floor protection.This product is a 2 component finish, meaning there are 2 parts to mix. Once mixed the finish starts to harden as it dries. Much like an epoxy, but without the fumes or V.O.C.'s. 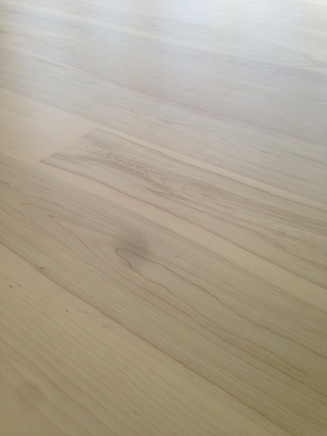 Our clean sanding process paired with this clean finish means theres no need to leave your home during the process. It dries so fast the floor is ready for shoeless foot traffic that night! 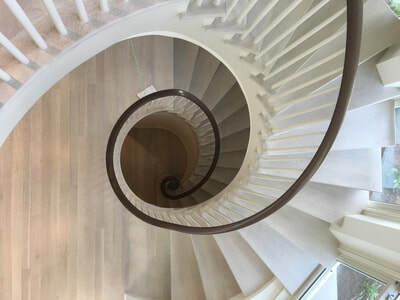 Our most recent project is a home that was built in 1723 by a wood "joiner". 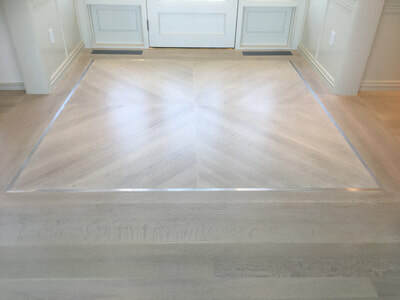 There are many ways to refinish these old floors. 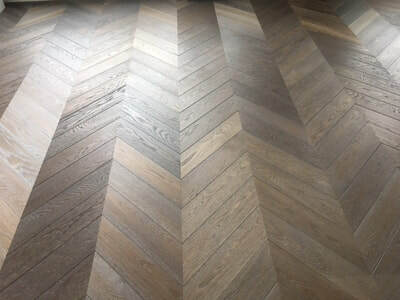 We agreed with the home owner that the floors should look as if the wood was just cut down. This would require a lighter shade finish that is durable as well as non-yellowing. Being water based specialists', we knew just what to use. 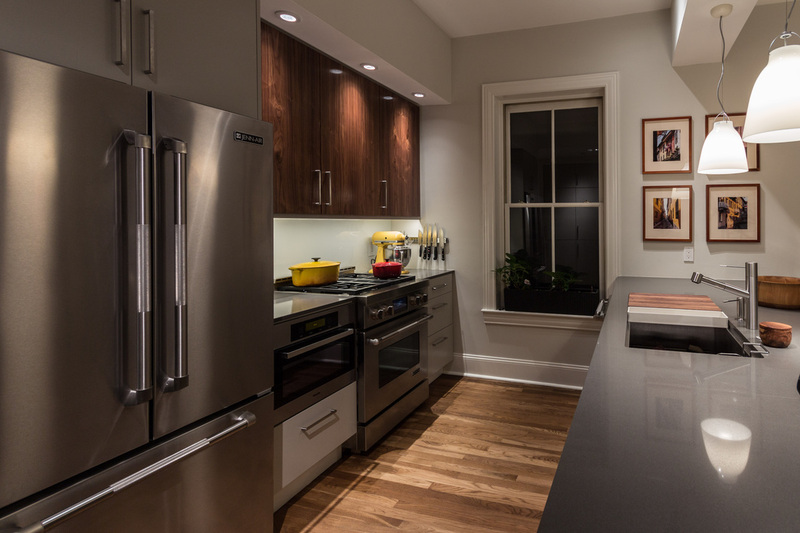 Most of the home has Vermeister satin finish, while the kitchen received Bona Naturale. Click the photo to the left to see some more photos and videos of this historic home! 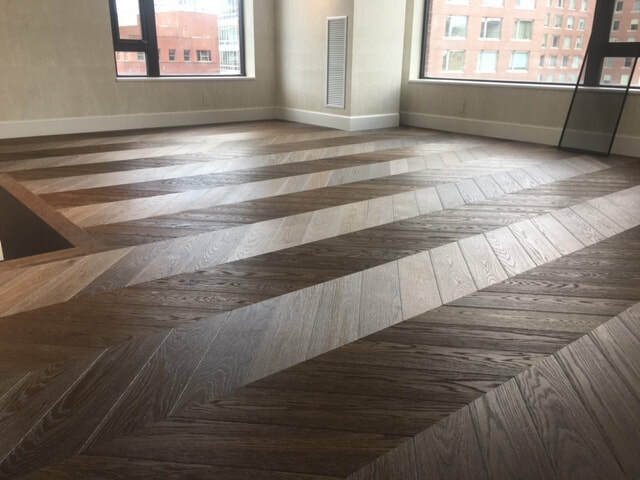 Recent custom floor work involving RMC. Also see our Rubio Monocoat page!